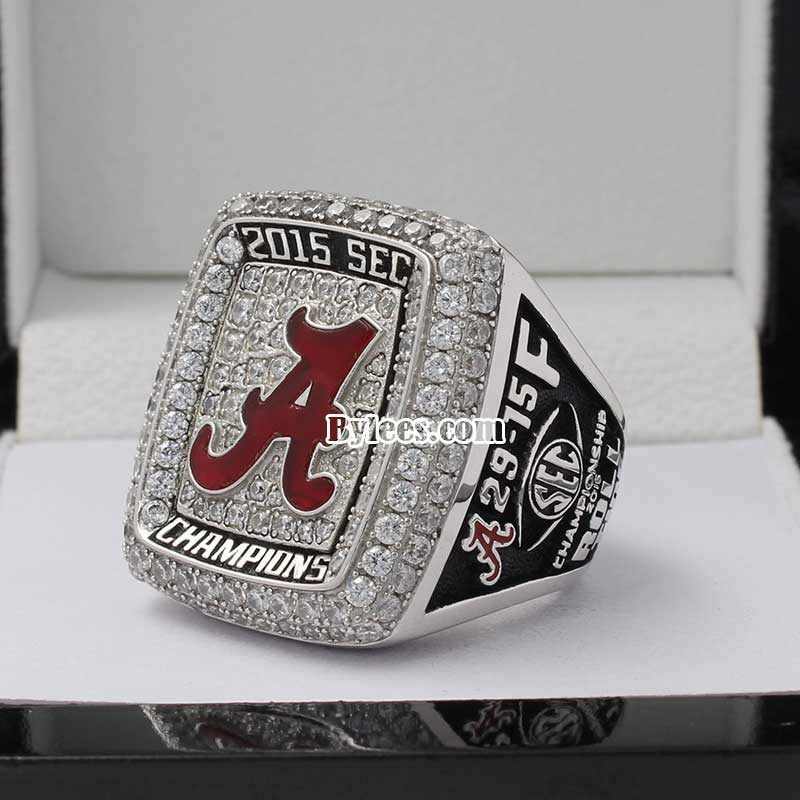 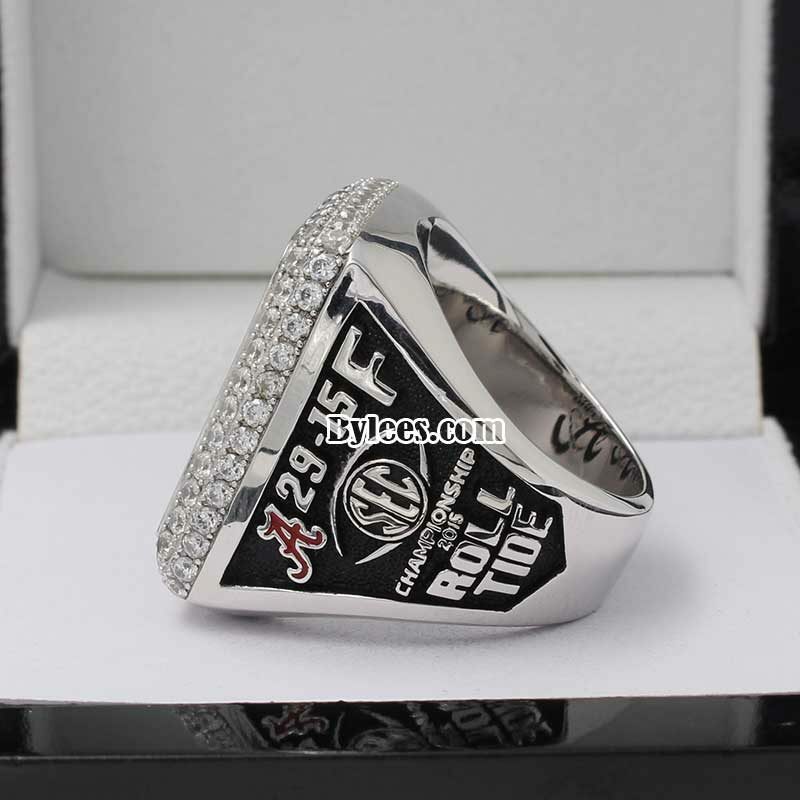 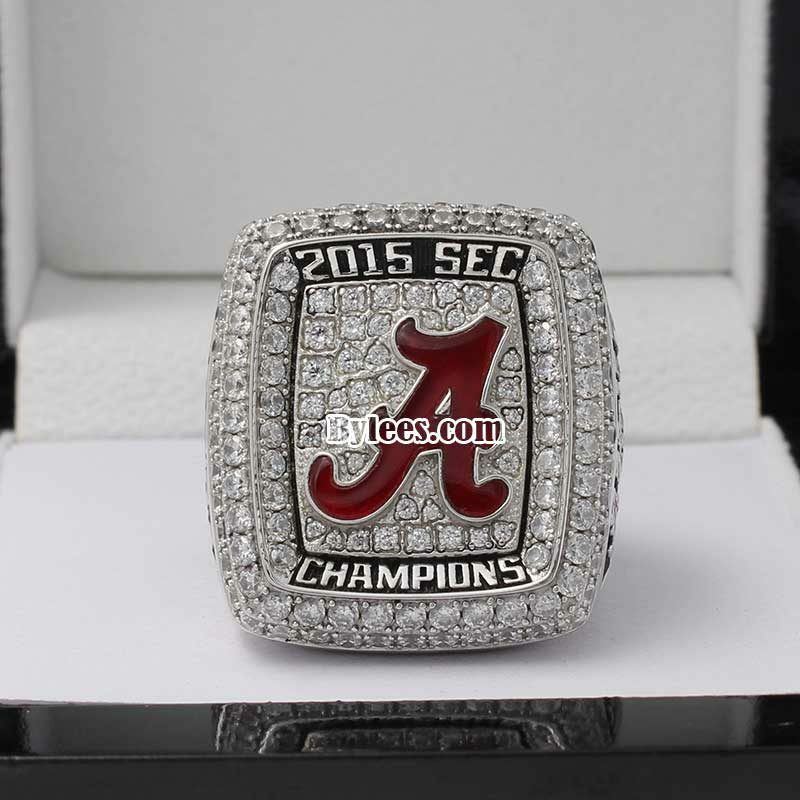 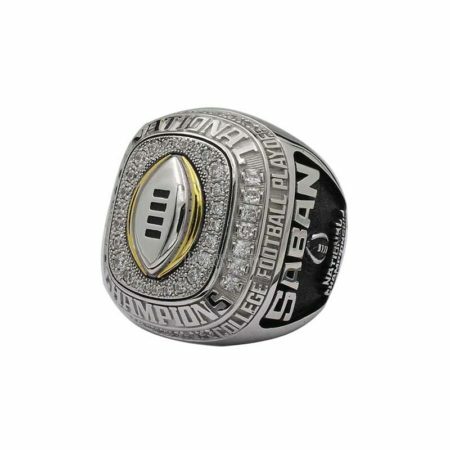 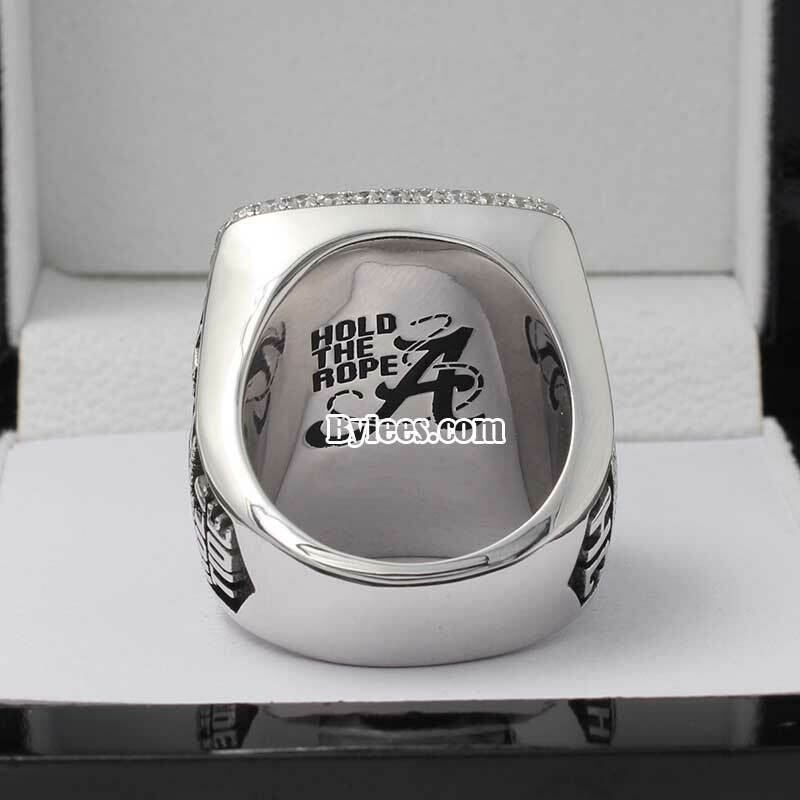 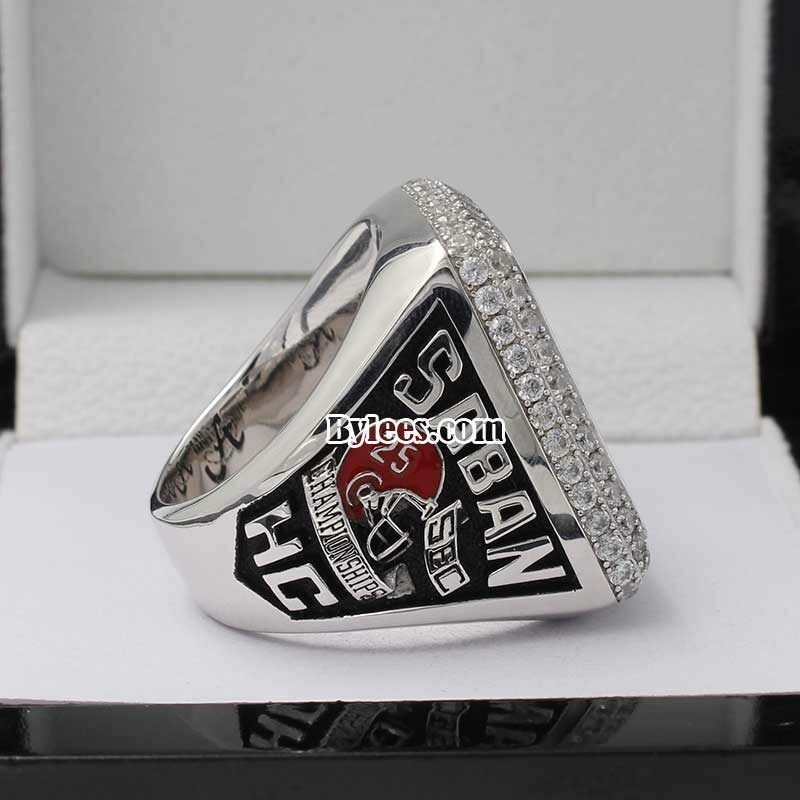 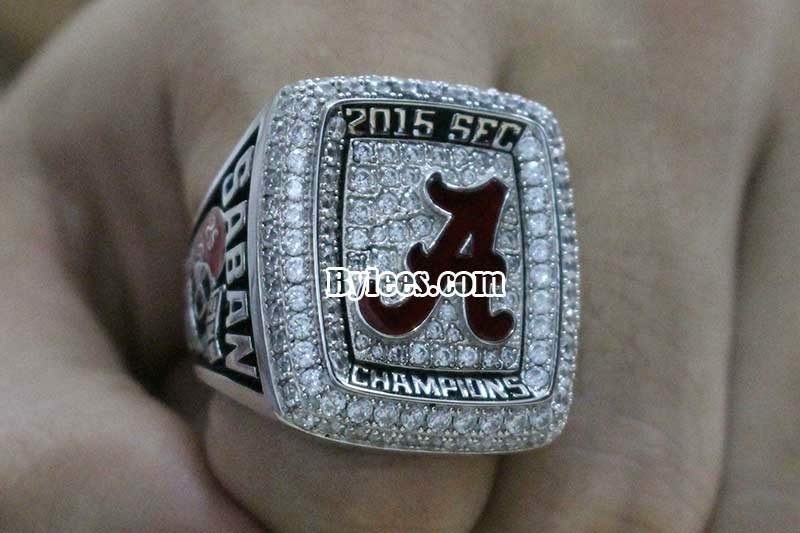 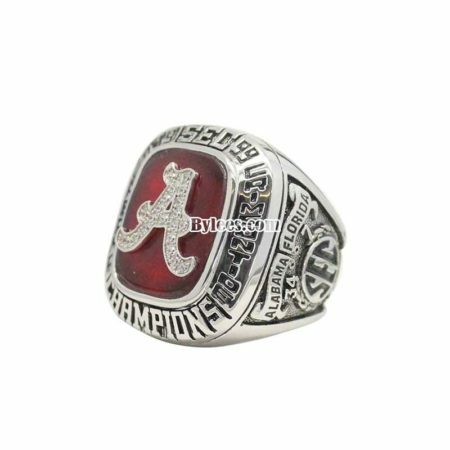 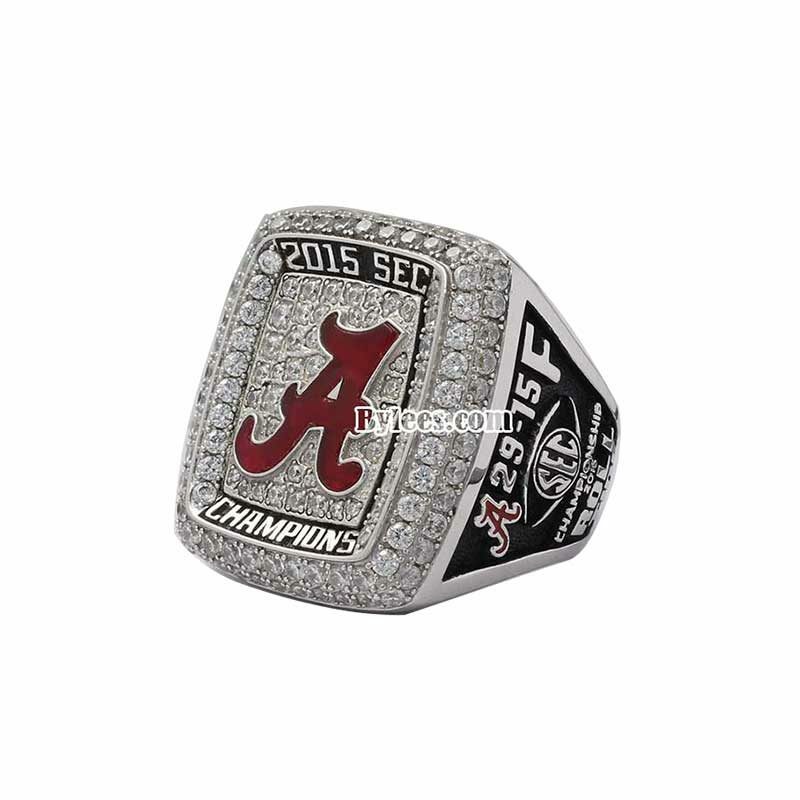 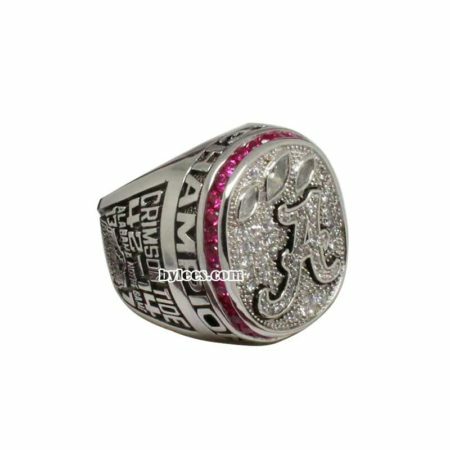 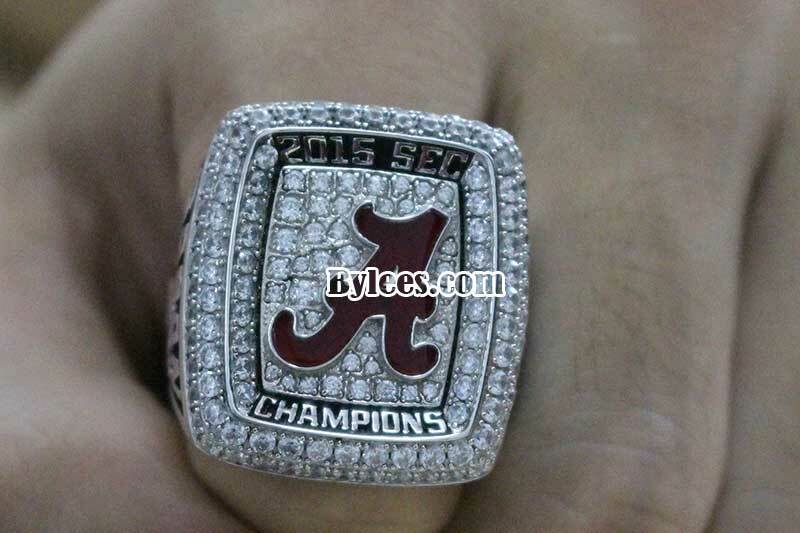 2015 Alabama Crimson Tide SEC Championship Ring is commemorated the 2015 SEC championship game in the 2015 NCAA Division I FBS football season, The game was played on Saturday, December 5, 2015 , the Tide defeated the Gators by 29-15 and awarded the 2015 SEC Championship ring. 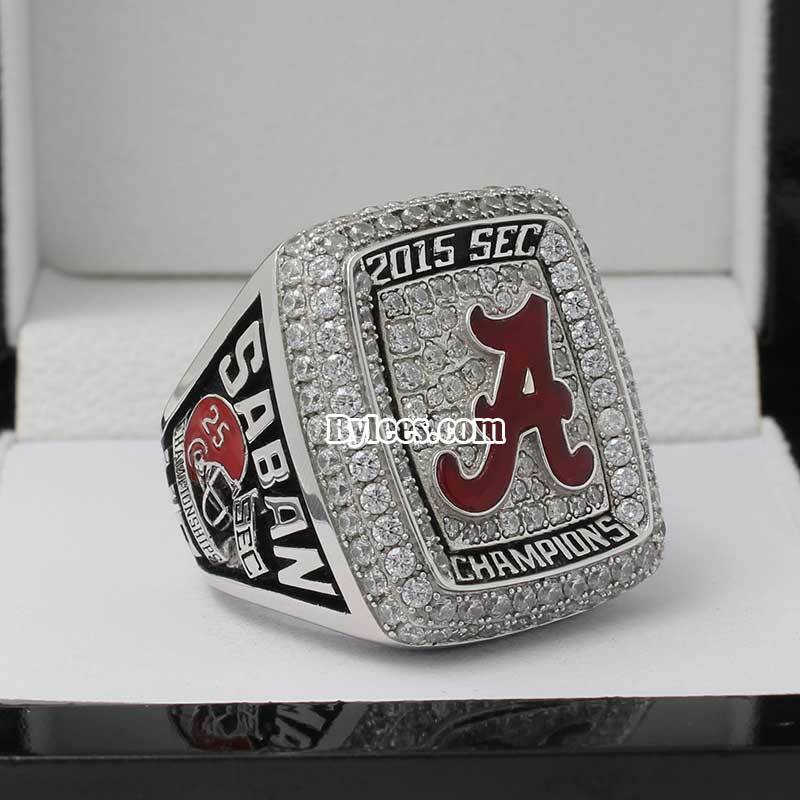 The version is Nick Saban Alabama Crimson Tide 2015 SEC ring, The Alabama Crimson Tide (12-1 overall) used a dominant performance by its defense and a record-setting day by running back Derrick Henry to defeat the Florida Gators (10-3 overall), 29-15, to win the 2015 Southeastern Conference Championship Game in front of a crowd of 75,320 at the Georgia Dome (capacity: 71,500). 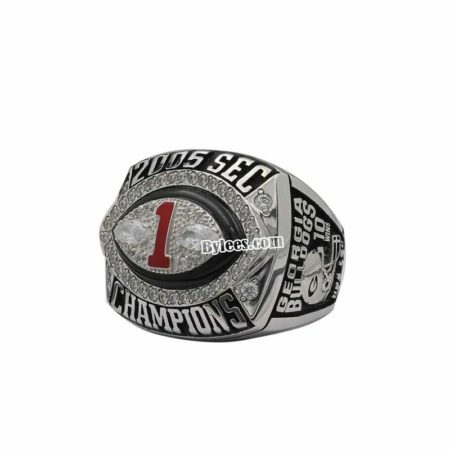 The SEC title, the 25th in Crimson Tide history, made the Tide the first team to earn back-to-back SEC Championship Game victories since Tennessee did so in 1997-98.